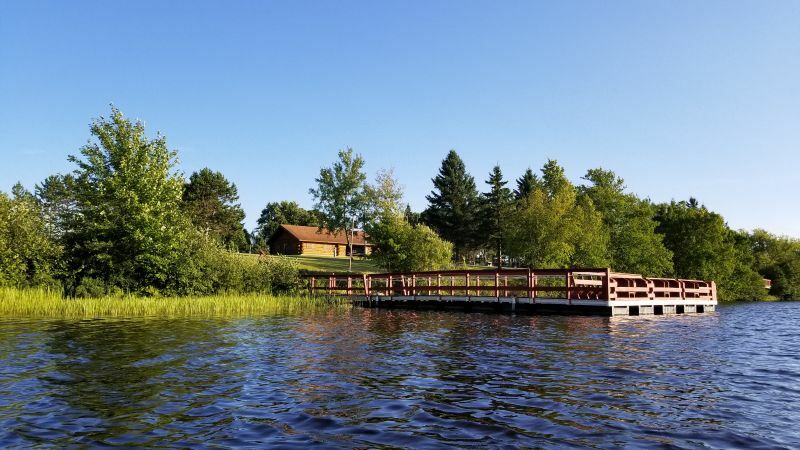 Hines Park, located along the beautiful Flambeau River, offers amenities such as camping, rest rooms (during summer months), two fishing piers, a boat launch, a large playground, basketball courts, and sand volleyball courts. A large log pavilion, complete with a fireplace and enclosed serving room, is available for reservation. The campground includes nine sites all with water and electric; one site has sewer, as well. Sites 1-4 & 6-9 are $20/night; site #5 (with sewer) is $25/night.